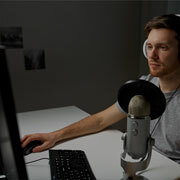 Audio/Video Transcription: We offer specialized transcription services. 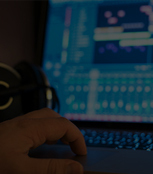 Get more information on our audio/video transcription services and sub-services. Legal Transcription: We offer specialized transcription services. 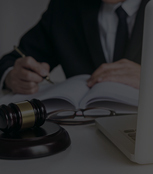 Get more information on our legal transcription services and sub-services. Business Transcription: We offer specialized transcription services. Get more information on our business transcription services and sub-services. Specialized Transcription: We offer specialized transcription services. Get more information on our specialized transcription services and sub-services. Foreign Language Transcription: We offer specialized transcription services. Get more information on our foreign language transcription services. Transcription Services Articles: Our transcription services resources are comprehensive and well-researched. 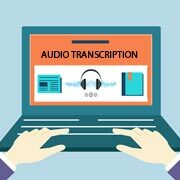 Check out our transcription services articles. How to Choose a Good Transcription Service Provider? Why is Business Transcription Important? How Transcription Companies Can Help Your Business? Are you concerned being unfamiliar with Medico-legal terminologies? 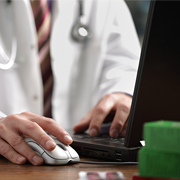 Are you looking for ways to decongest the workflow by outsourcing Medico-legal transcription? You are just a step away from the efficiency you always wished for. Whether it is an insurance investigation, malpractice suit, or deposition Medico-legal transcription experts are expected to be fully aware of the terminologies, but where can you find qualified transcription at a budget? Outsource2india is a brand that stands for excellence in all legal transcription specialty. Medico-legal transcription, being the first choice for physicians, expert witness, attorneys, et al. in need of a productive alternative to medical and legal transcription can skip insourcing the task and save big on time and money. Choosing our expertise can eliminate errors and instantly boost your business efficiency. When medical and legal terminologies are unclear to transcriptionists they are prone to make mistakes that can be costly and time-consuming to fix. Therefore, our Medico-legal transcriptionists have unrivaled experience in transcription services. Therefore, interpreting rapid speed, conversation, dictations, and comments with due diligence has always been our forte. Glad to see things are going well and business is starting to pick up. Andrea told me about your outstanding numbers on Tuesday. Keep up the good work. Now to other business, I am going to suggest a payment schedule for the outstanding monies that is due. One, can you pay the balance of the license agreement as soon as possible? Two, I suggest we setup or you suggest, what you can pay on the back royalties, would you feel comfortable with paying every two weeks? Every month, I will like to catch up and maintain current royalties. So, if we can start the current royalties and maintain them every two weeks as all stores are required to do, I would appreciate it. Let me know if this works for you. Why Outsource Medico-legal Transcription Services to Outsource2india? Outsource2india follows ISO 9001:2015 accredited process in Medico-legal transcription. Our service offers quality guarantee and benefits that will leave other competitors in the dust. The security of your confidential data is paramount to us. Therefore, we have taken solid measures to keep up with the latest technology to safeguard your digital files. This effort of ours has been recognized with ISO/IEC 27001:2013 certification. O2I is a leading provider of Medico-legal transcription services in India because our turnaround time is shorter than most competitors. We can complete medico-legal transcription services almost 40% faster. With O2I's impressive turnaround time, have no doubt when it comes to choosing the right provider. The medico-legal transcriptions are easily scalable, and we can accommodate your needs if the requirement changes half-way through the project without stress. The cost of medico-legal transcription is easy on your wallet because our pricing is flexible and there is always a special price just for you. Talk to us and share your requirement and we will provide a custom quote. You can get an agent assigned to your project who will be available on a round-the-clock basis. This can help you set your focus on important functions while the agent will present timely reports and updates. The team of transcriptionists at O2I has 10+ years of experience and have handled various transcription tasks with ease. Our high-caliber medico-legal transcriptionists are knowledgeable in interpreting accents, terminologies, and laws that are applicable in your region. You can count on our state-of-the-art infrastructure to complete medico-legal transcription at blazing speeds. Our software, hardware and physical infrastructure can together lead to successful outcome. We have the technology to convert the medico-legal transcriptions into any file format of your choice. The data sharing platform used by O2I is step up from the traditional methods of file transfer. We use the latest SFTP and VPN to transmit files in a safe manner. In addition, our system is monitored using the latest generation security software so that we can maintain project and data confidentiality. We are available 24/7 to assist you in every way. Our customer care agents can be engaged at your preferred time because we go out of the way for our clients so that they are satisfied with the results. Outsource2india transcribed 9 hours of mock counseling audio for a Dublin-based client within 72 hours with an accuracy of 95 percent. The client was elated with the results. Within 42 hours Outsource2india transcribed audio worth 9 hours for a US-based client. The client was deeply satisfied with the swift response and support offered by us. Running an online community for business women part-time alongside a full-time business means I'm very busy.Outsource2india.com has translated my podcasts flawlessly. They are quick and accurate which saves me time and money. I recommend them to any small business in need of administrative assistance. The law medico-legal transcription is another top solution from Outsource2india's legal transcription services. Well-known as a reliable provider of transcription services in India, we have consistently beaten the competition in 20 years. Our visionary team of transcriptionists is specialized in transcription of reports, findings, etc., from multiple domains. 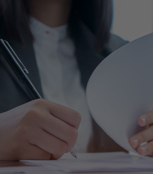 Outsourcing medico-legal transcription services can assure you superior value because we sincerely adhere to the customized non-disclosure agreement that is drafted exclusively for your project. Our rates are highly reasonable, so you can take complete advantage even if you are cost-conscious. Contact us for a quick quote and discover how we can assist you with medico-legal transcription in an efficient way. Our transcription services have created global success stories.